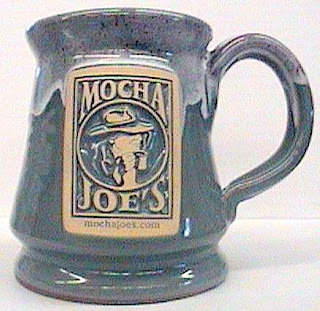 Welcome to Coffee Mug Tuesday as I will be showing to you some of the mugs that have been submitted and searched online. This is part of my search for the perfect mug(and maybe this can also influence you to collecting/getting your own). So here are two mugs that I'd like you to take a look at and tell me which one is better. Logo is a 3-D raised carving. Miam Miam by Patricia Ryan (Retroflo).